Ehoumaki is a special sushi roll that Japanese eat for celebrating Setsubun. It is at the beginning of Spring, on the third of February every year. I feel like we just celebrated New year, but Setsubun is almost upon us! So, Let’s roll Ehoumaki flawlessly to bring fortune and good luck! Ehoumaki is a type of Futomaki which itself is just a thick sushi roll. So it is basically a Futomaki roll but has 7 fillings. Japanese people eat in a certain way for good luck for the new year, on Setsubun. Come on, it is nearly the Third of February, so make a huge sushi roll for good luck ! There are a few traditional customs to celebrate Setsubun in Japan. The most common Setsubun custom is bean-throwing. It might sound crazy, but i think it’s fun. People throw roasted soy beans from their homes and temples around the country while shouting, “Demons out, good luck in”. Eating special futomaki made for this day is the other popular custom. 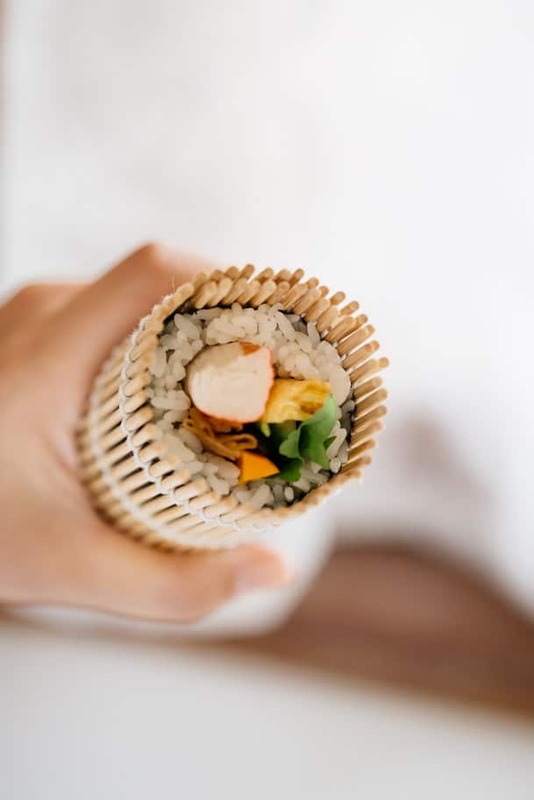 As the name of this special futomaki sushi roll suggests, in order to bring good luck, we need to face the lucky direction when we eat the Ehoumaki. Furthermore, the lucky direction changes every year. Drum rolllllll … The lucky direction for 2019 is 東北東. Which is East North East. Furthermore, not cutting the roll is also implying you are not cutting off any relationships and connections. 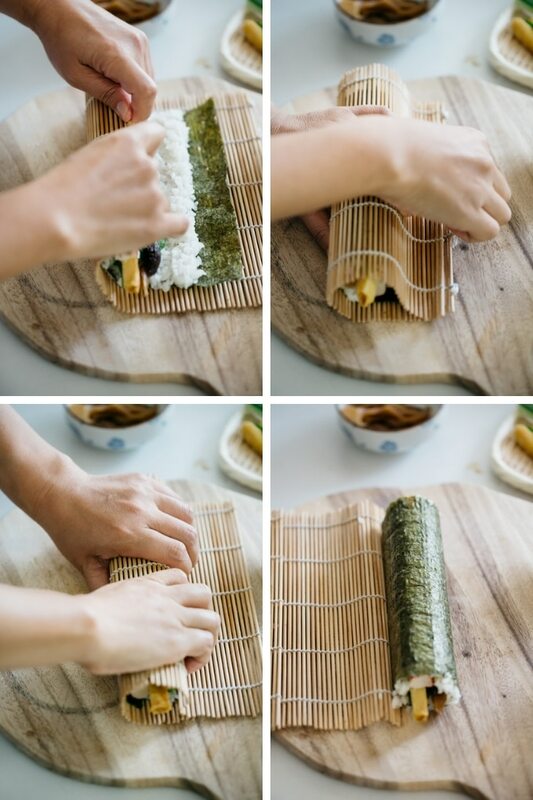 So be careful not to cut your delicious ehoumaki. Why must Ehoumaki have 7 fillings? Good question. It is said that 7 fillings are derived from the Seven Deities of Good Fortune. 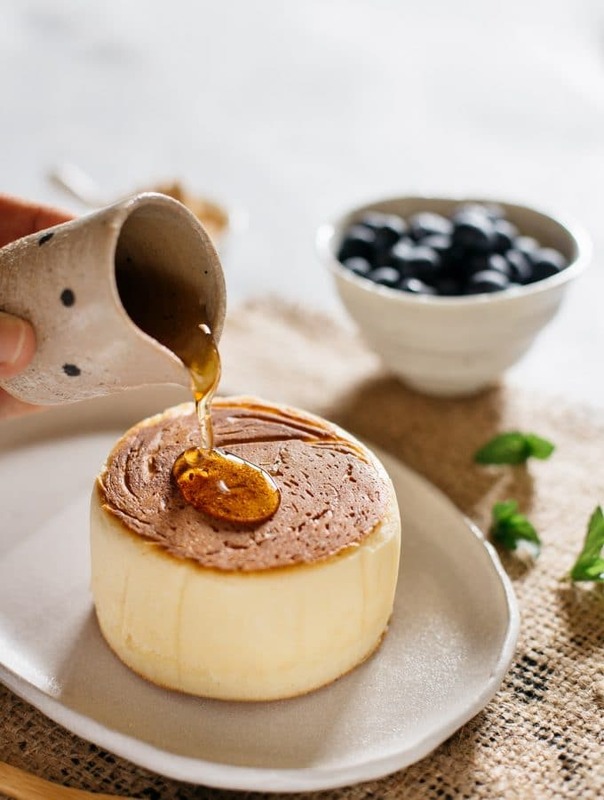 There are no limits to what those 7 fillings should be. The fillings I used in this post are, Imitation crab meat, Tamagoyaki(egg roll), cucumber, Kanpyo, Shiitake mushrooms, Shiso leaves, and Mitsuba. However, you can use your own imagination and aim for good luck also. A-ge (deep fried tofu), Shiitake mushrooms, cucumber, lettuce, carrot, Kanpyo, and pickled daikon. 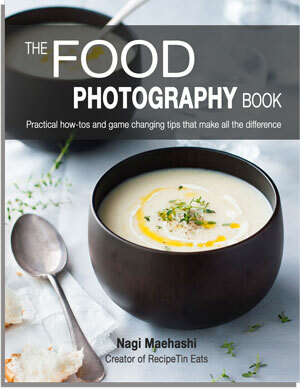 Perfect for the vegetarians out there. Let’s celebrate the beginning of Spring with Ehoumaki! 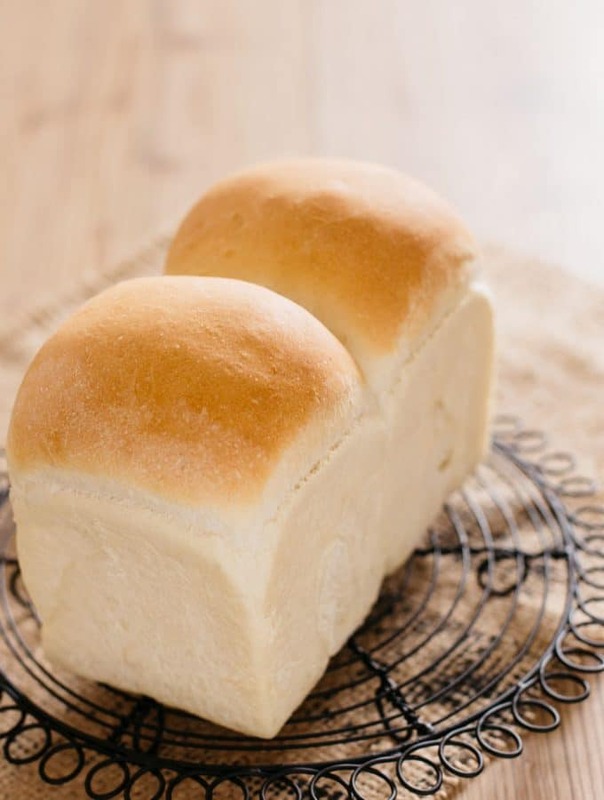 If you liked it, please rate the recipe and leave comments below. 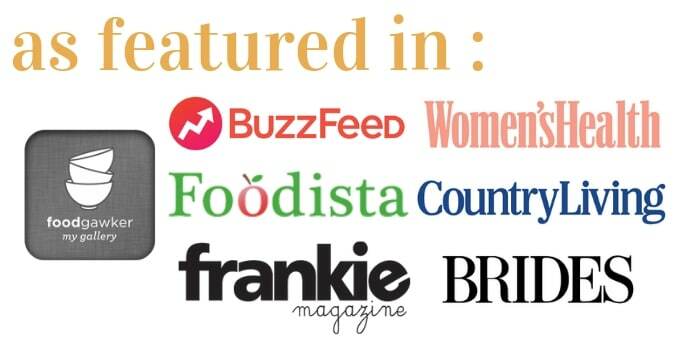 Also don’t forget to follow me on Youtube, Pinterest, Facebook , Twitter and Instagram to keep up to date with all the latest happenings on Chopstick Chronicles. Don’t forget to use the hashtag #ChopstickChronicles so I can see your wonderful creations! 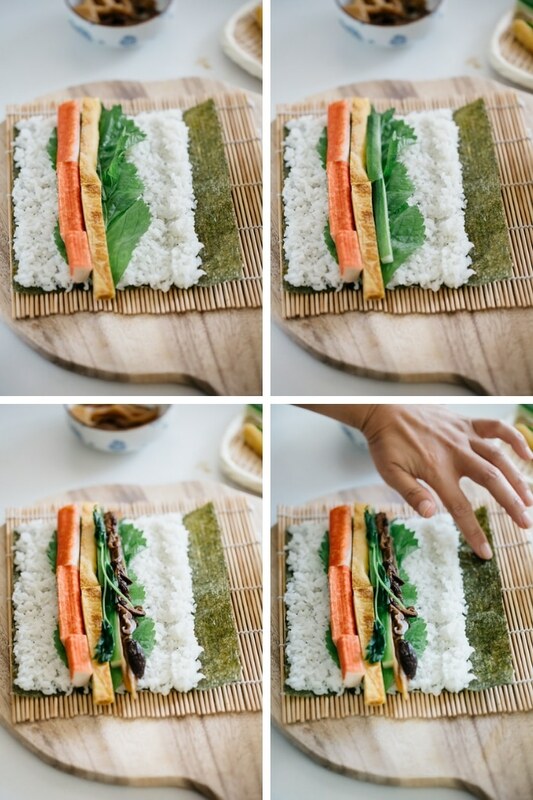 Prepare the sushi rice by following the recipe link in recipe notes *1. Soak the mushrooms in a bowl with 1 cup of water. 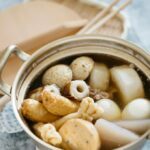 Soak Kanpyo in a separate bow with 1 cups of water. 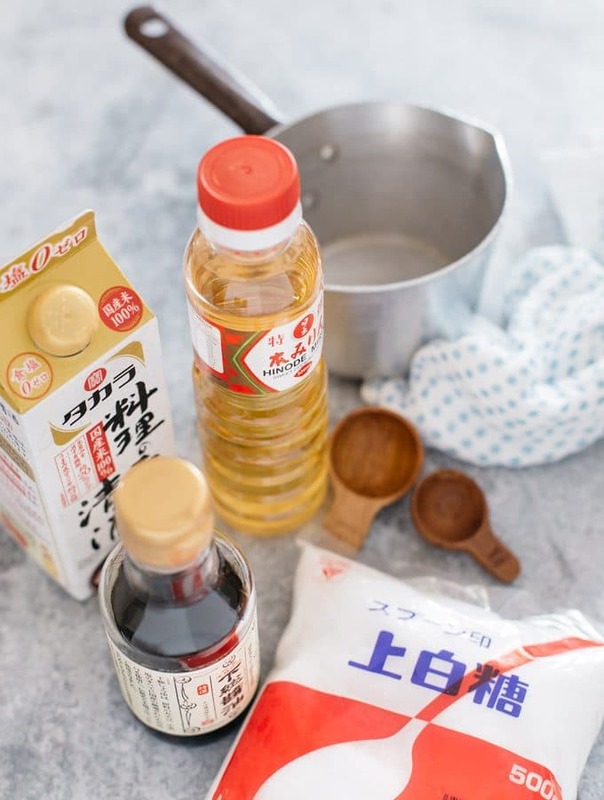 While the mushrooms are soaking, prepare the mitsuba, egg, and cucumber. Cut the cucumber into long sticks and set aside. Wash and parboil Mitsuba leaves, drain the cooking water and place Mitsuba leaves in a bowl of cold water. Squeeze out excess water and set it aside. Squeeze out the excess water from the mushrooms into a bowl (save the water) and slice them thinly. Squeeze out the excess water out of the Kanpyo and cut them in same length of nori sheets. Put 100ml of the water that the mushroom soaked in and 2 tbs of sugar, 2 tbs sake, and 2 tbs of soy sauce into a saucepan. Put the sliced mushrooms, Kanpyo and carrots into the sauce pan and bring it to boil then reduce the heat to low and allow it to simmer until the most of the liquid has reduced and the carrots are soft. Remove from heat and allow to cool down before putting into the sushi roll. 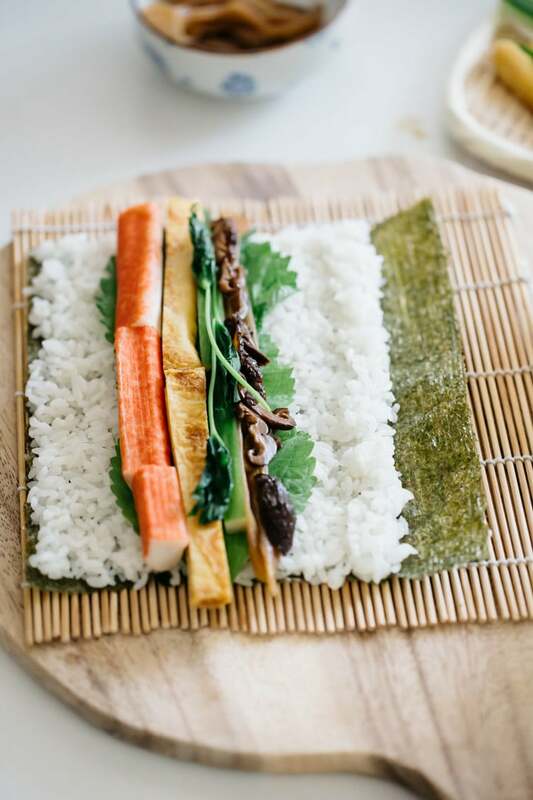 Lay a seaweed sheet onto a sushi mat and place 1.5 cup rice on top and spread it out about 5mm thick leaving 3cm(1.2 inch) gap at the one edge of nori sheet. 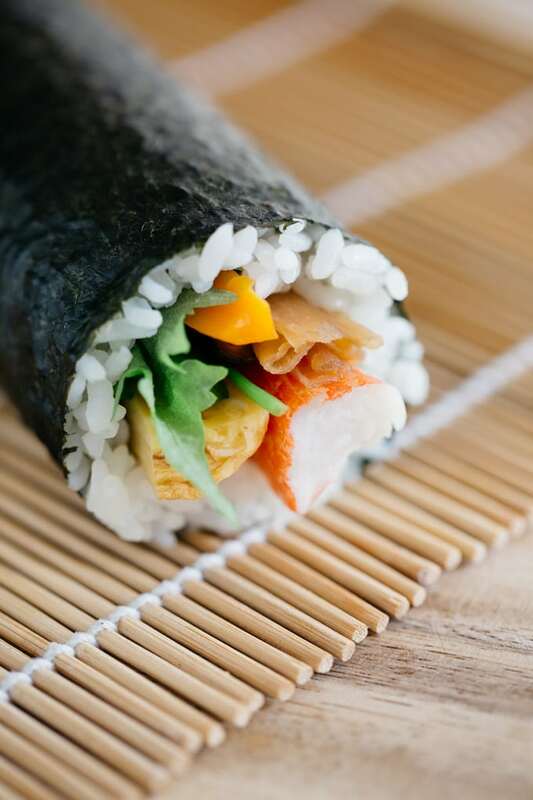 Place a little water on to the larger edge of the seaweed then roll the other side towards it and press down on the fillings as you roll then squeeze tightly. Repeat for the remaining amount of rice and fillings. Do not cut the sushi roll. 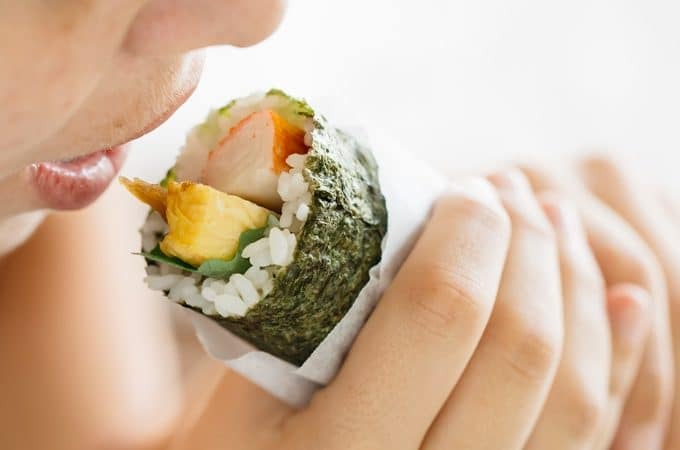 Eat as a whole sushi roll without talking. 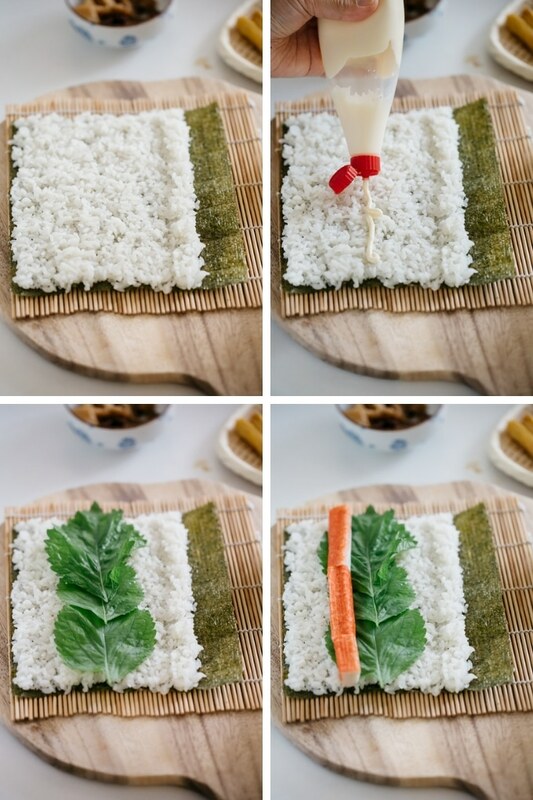 *1 How to make Perfect sushi rice, check here. *2 How to make Tamagoyaki, check here. 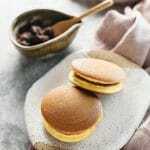 *3 More about Kanpyo check here . 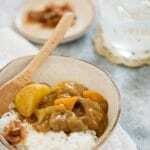 *5 Prep time/Cook time does not include cooking the rice as everyone's rice cookers vary on time. 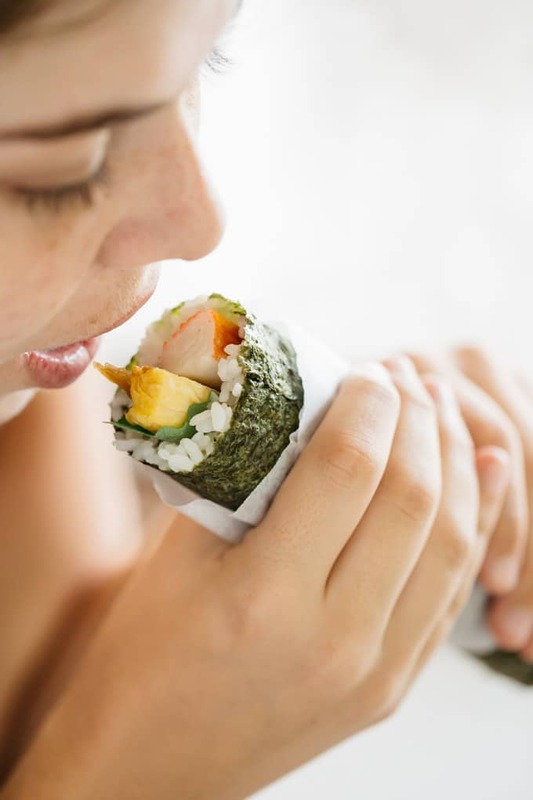 *6 Nutritional fact are per sushi roll. 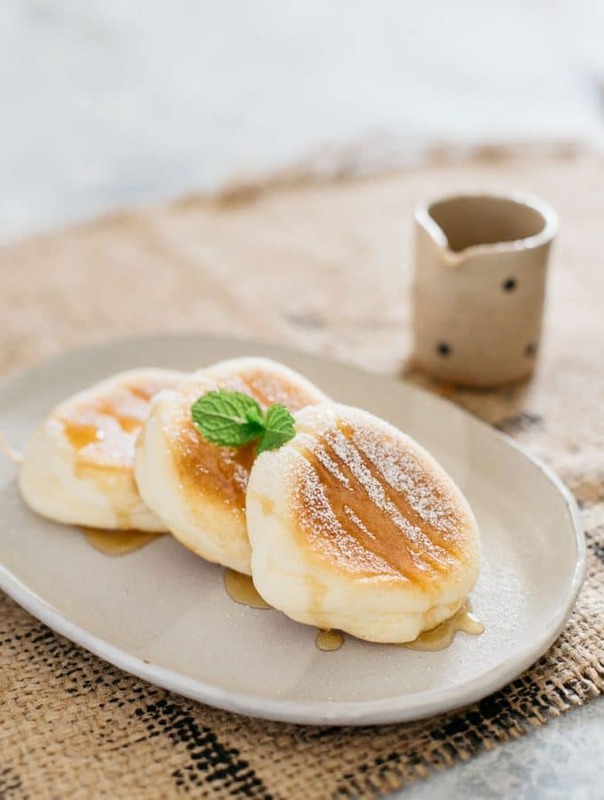 Tried this recipe?Mention @chopstickchronicles or tag #chopstickchronicles! Hi my friend, thanks for the post. Keep writing. 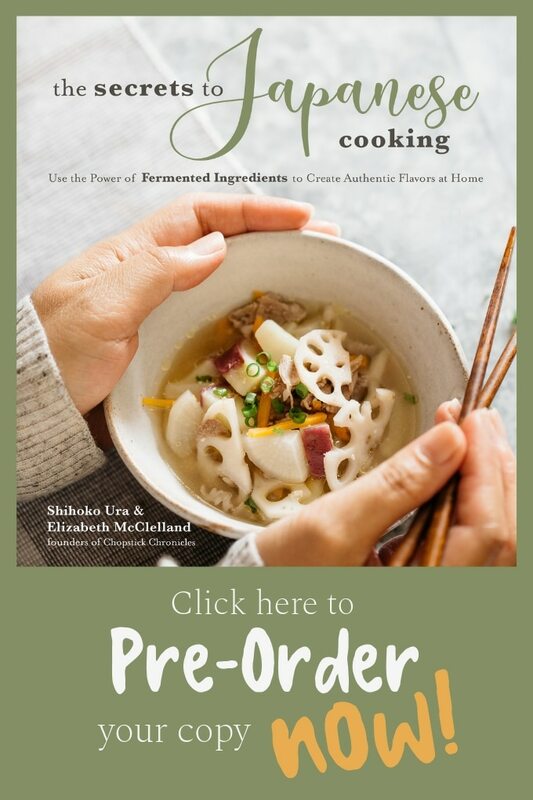 FREE delicious Japanese Recipes weekly!